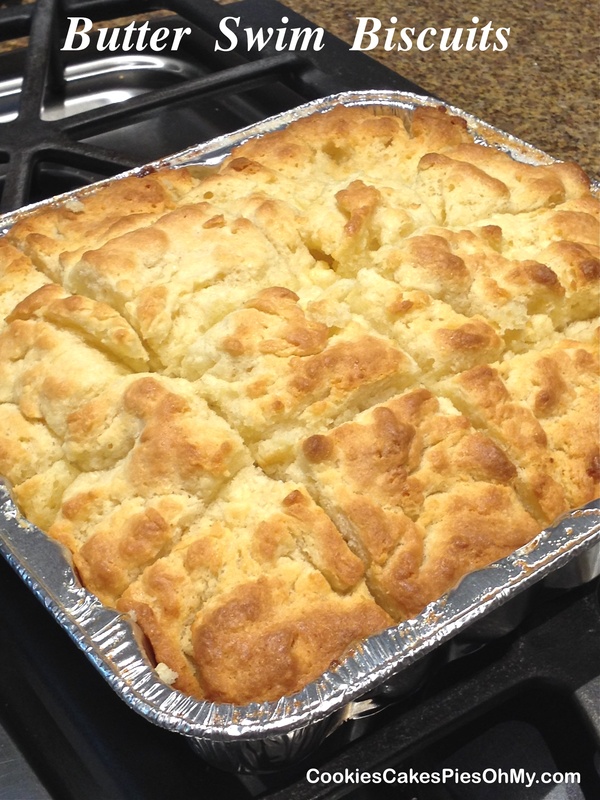 Easiest biscuits for dinner! A little crisp and very buttery on the outside and tender on the inside. Recipe comes from simplytexas. Careful, these are dangerous, you might eat the whole pan! Preheat oven to 400°. Stir together flour, baking powder, sugar, and salt. Stir in buttermilk just until combined. Pour melted butter into 9″x9″. 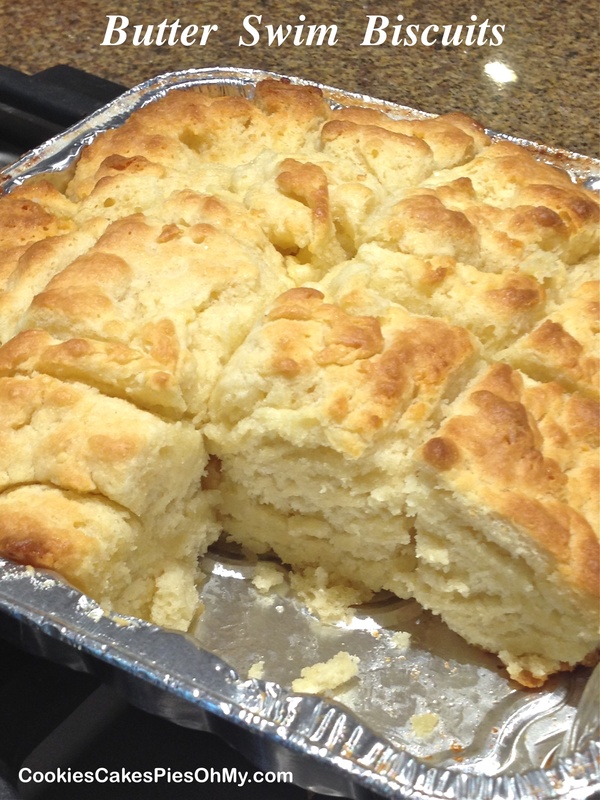 Drop biscuit batter into pan and spread out evenly. Butter will come up over the edges and cover over the top of the biscuit batter, as if it is “swimming”. Cut biscuits about half way down into batter to create the individual biscuits (3×3 or 4×4). Bake for 20-25 minutes until golden and beautiful! Cool a bit and cut through again, but all the way through to the bottom of pan. Enjoy! If you are interested in Demarle bakeware and kitchen tools such as Silpat & Perforated Baking Sheet please visit mydemarleathome.com/kristenparker or simply click on the Demarle at Home logo below. I made this recipe and it was a little too salty and chewy. Any suggestions to make it better? I have found that the amount of salt in butter varies. Maybe using unsalted butter would help? Thanks for visiting my site, hope you have a wonderful holiday season! Could you use Cashew milk or almond milk instead of buttermilk? I would certainly give it a try. I can’t think of a reason it wouldn’t work. I believe the acidity of buttermilk helps with the reaction of the baking powder, and from what I’ve read cashews and almonds have some acid content too so it would probably make a good substitute. Happy Baking! Thanks for visiting my site. You can add a tsp of white vinegar to 1 Cup non-dairy (or dairy) milk to approximate buttermilk’s acidity. I use this instead of buttermilk in everything, and no one has ever noticed. I made these for dinner tonight. DEE-licious and so easy! Thank you so much for sharing, Kristen! I may try a little less butter next time. Thanks again! I'm Kristen. Welcome to CookiesCakesPiesOhMy. Baking for my family and friends makes me happy, and sharing it with you makes it even better. I hope you find many recipes here that you will want to bake for your family and friends. Happy Baking!